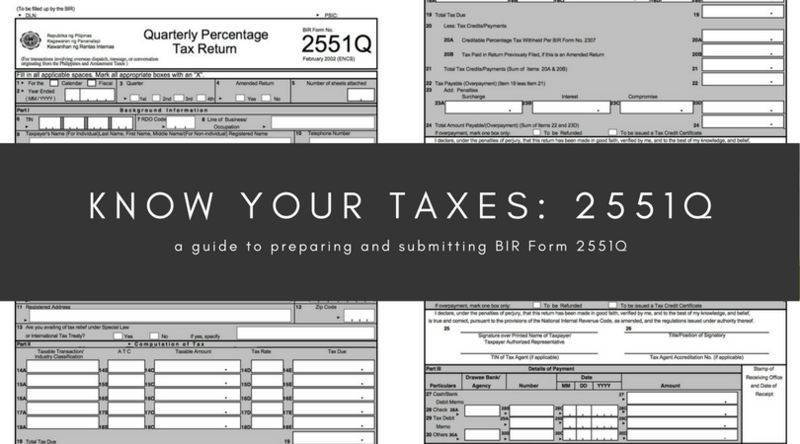 BIR Form 2551Q is also known as the Quarterly Percentage Tax Return form. Non-VAT registered individuals or non-individuals “who sell goods, properties or services, whose annual gross sales and/or receipts do not exceed three million pesos (Php3,000,000.00) and are exempt from value-added tax (VAT) under Section 109 (BB) of the National Internal Revenue Code, as amended by Republic Act (RA) No. 10963” and others. When is the deadline of 2551Q? Form 2551Q is due within 25 days after the close of the taxable quarter. How do you prepare 2551Q? To make form preparation less complicated, you may use Oojeema’s built-in 2551Q. 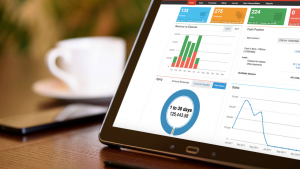 Oojeema’s built-in 2551Q automatically updates as you add sales and purchase transactions. This means if you’re filing through eFPS or eBIR, you no longer have to manually compute input and output VATs. Just click generate then you can key in the amounts on the eBIR and eFPS portals. What should I do if I’m filing 2551Q late? Proceed to the RDO for penalties computation then file online as usual. Do we still need to file 2551Q if we chose the graduated income tax (1701Q)? Yes. These two are different reports. 2551Q is for the percentage tax; 1701Q is for the income tax. The system doesn’t accept submissions if the amount is zero. What can I do? Should I still file 2551Q if the business did not earn anything? Yes. But you don’t have to pay for anything. Zero sales mean zero tax. Is alphalist a necessary attachment to 2551Q? Yes, if percentage taxes are withheld. I filed 2551Q and it was successful. I was told to wait for the validation. Should I wait for the validation from BIR before I proceed with the payment? You may print the tax return receipt confirmation and pay. No need to wait. How can I file 2551Q if we used 2551M for the whole quarter (1st to 3rd month)? Disclaimer: The information contained in this article is based on existing regulations and policies as of January 14, 2019. To the best of our knowledge, this information is factual and correct. However, should there be any discrepancy, always consult BIR for clarification.